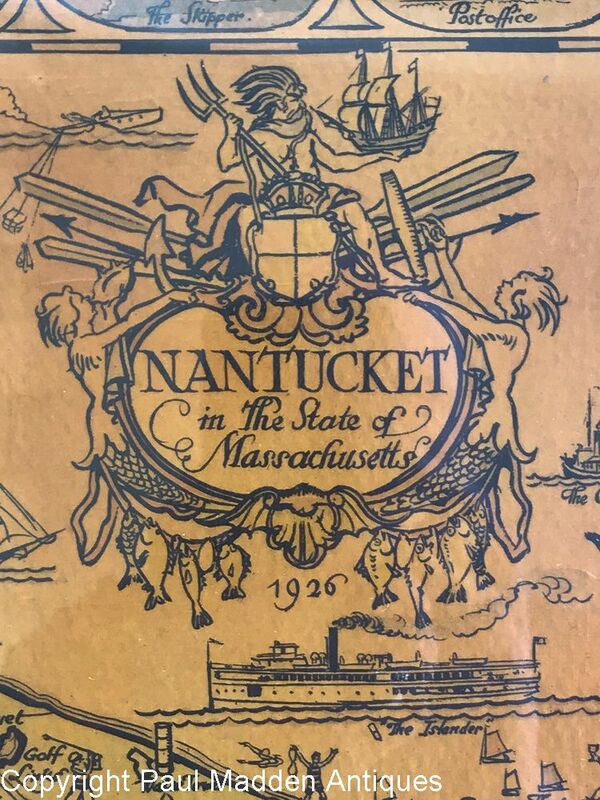 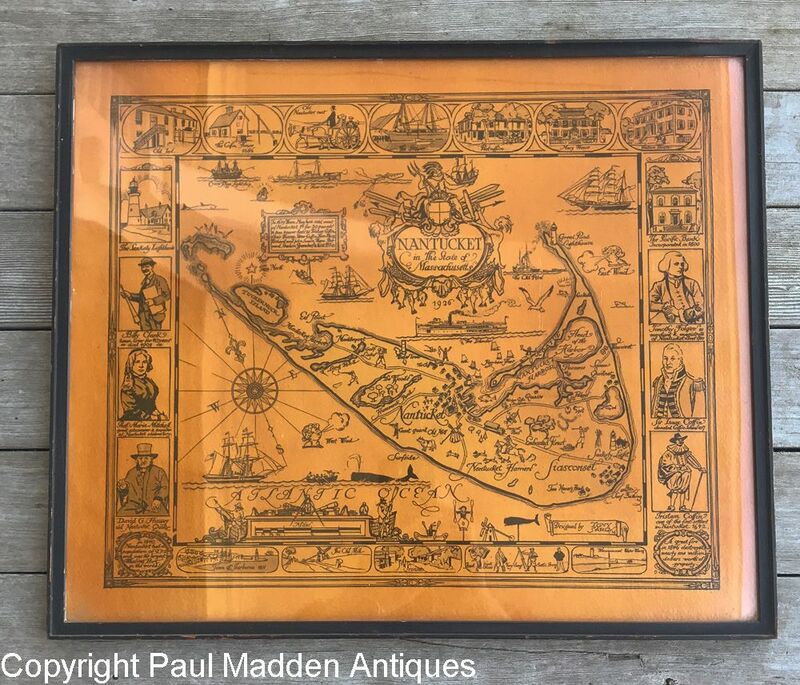 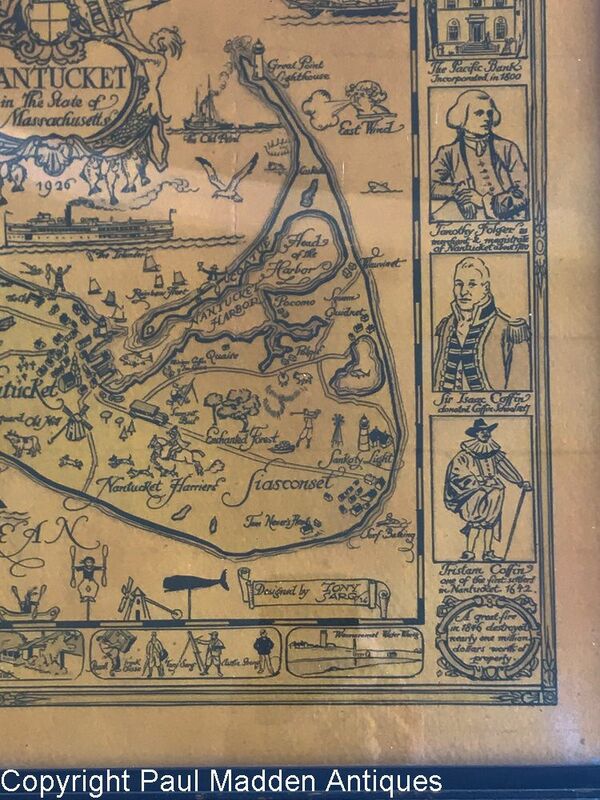 Antique map of Nantucket by artist Tony Sarg dated 1926. 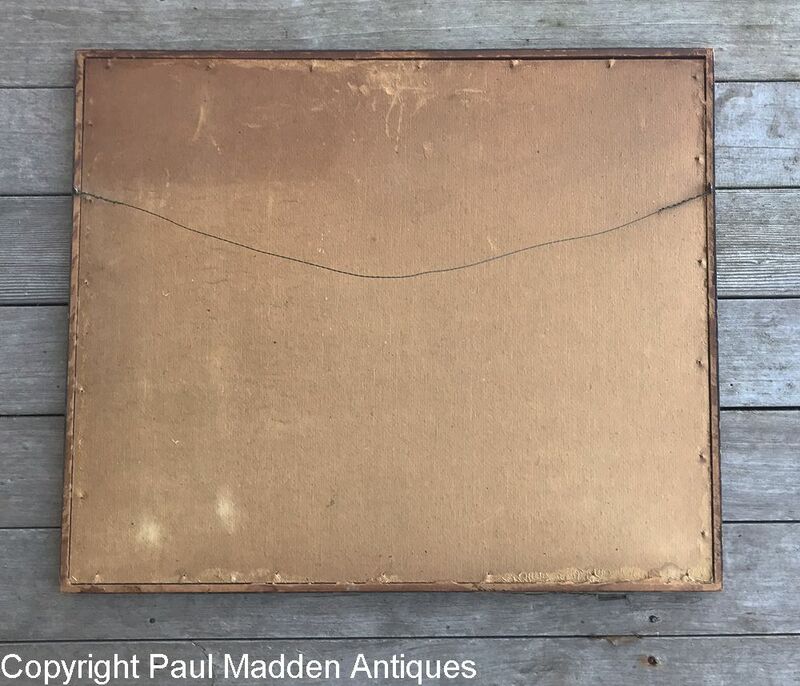 Original frame and behind glass. 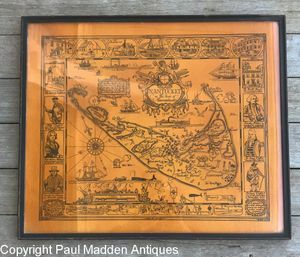 Measures 22" by 19" framed.